Dec. 2, 2018 - The Iranian regime is dispatching hit squads across Iraq in an initiative aiming to silence voices critical to Tehran’s Iraq meddling, especially inside the new government, according to British security officials speaking to various media outlets. Revolutionary Guards (IRGC) Quds Force chief Qassem Suleimani is reportedly ordering these hit squads, intending to intimidate Iraqis against Iranian regime meddling in Iraqi politics. The Quds Force hit squads were dispatched following the Iraqi parliamentary election in May when Tehran’s initiatives to realize a controlling influence over the incoming Iraqi government were thwarted by Tehran-backed candidates failing to win sufficient votes. The Iranian regime had placed its weight behind former Iraqi prime minister Nuri al-Maliki, whose close links to Tehran played a significant role in his removal from office. Iran’s mullahs also placed their bets on another pro-Tehran candidate, Hadi al-Amiri, known for his role as commander of the 9th Badr Corps comprised of captured Iraqi soldiers during the 1980s Iran-Iraq War. They were used as mercenaries to carry out terror plots in Iraq against members of the Iranian opposition People's Mojahedin Organization of Iran (PMOI/MEK) and Iraqis against Tehran’s role in their country. British security officials, currently involved in providing military support and training for Iraqi armed forces, are saying the Iranian regime’s response through dispatching numerous Quds Force hit squads to Iraq is very alarming. Adel Shaker El-Tamimi - a close ally of former Iraqi prime minister Haider al-Abadi – was the most high-profile victim to date. Quds Force hit squads assassinated him back in September. Tamimi, 46, was an advocate in Baghdad to heal the rifts between the country's Shia and Sunni communities, caused by the Iranian regime’s conspiracies. He also worked as a low-key envoy seeking to re-establish Iraq’s relations with neighboring countries. Iranian regime assassins have also targeted dissidents across Iraq’s political spectrum, security sources say to the media. Other victims of these Quds Force hit squads include Shawki al-Haddad, a close ally of Shiite cleric Muqtada Al-Sadr, who has recently adopted a nationalist approach in Iraq. Haddad was murdered in July following his accusations of the Iranian regime of election fraud. Rady al-Tai, an advisor to Iraq’s leading Shiite cleric Grand Ayatollah Ali Al-Sistani was the target of a failed assassination attempt in August after calling for the reduction of Iranian regime meddling in Iraq’s new government. "Iran is intensifying its campaign of intimidation against the Iraqi government by using assassination squads to silence critics of Tehran," a senior British security official has said to The Daily Telegraph. "This is a blatant attempt to thwart efforts by the new Iraqi government to end Iran's meddling in Iraq." The Iranian regime seeks to expand and increase its influence over Shiite populations across the Arab World. Iraq, with a Shiite population majority, has for decades been a target of the mullahs’destructive meddling. The Iranian regime is known to be behind a process seeking to establish a Shiite crescent across the Arab World, stretching from Iraq to Syria, and leading to Lebanon and the Mediterranean eastern shores. General Mark Carleton-Smith, head of the British Army, told the Daily Telegraph he regards the Iranian regime’s “malign influence” as one of the world’s existing major threats. 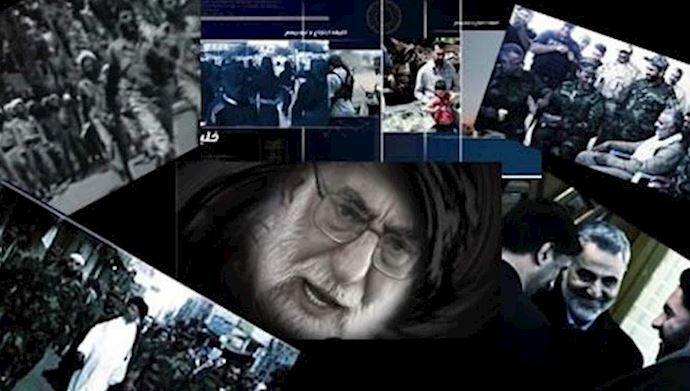 Security officials are saying to the media that the Iranian regime’s Quds Force is also looking for means establish its military foothold in Iraq. Through extremist militia groups such as Kataib Hizbollah, the Iranian regime is busy smuggling weapons into Iraq for use against the US and other Western targets, reports indicate. In September, Kataib Hizbollah was accused of launching two attacks against the US Embassy in Baghdad and the US consulate in Basra, the oil-rich city in southern Iraq.